Happy Thanksgiving Eve! Hard to believe that this month will leave us in just a few short days and the 40 days of Christmas (season) start tomorrow. Today, like many of you I wanted to focus on the positive, despite all the negative, crimes, tears and terrorism that surround this world, unfortunately. First of all I want to Thank each and everyone of you that take your time to stop by my blog, whether you browse, simply look at the photos, admire or hate the outfits (cause they are not all winners, I am the first to admit it), comment, compliment, read or not. Thanks especially to all of you who read and follow this little blog of mine and also take your time to e-mail me every now and then. Thank you to all my blogging friends who make blogging for me even more fun and to all the bloggers I have had the pleasure and fun to collaborate with in the past and to those whom I will collaborate with in the near future. Thank you to all the brands and companies that have trusted me with their products and their image. 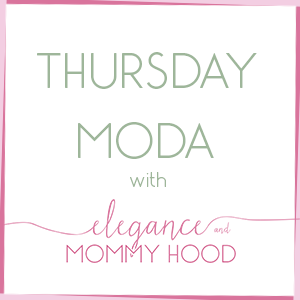 Thank you to everyone who makes a stop by Elegance and Mommyhood daily, bi-weekly, weekly, monthly or whenever you can. I have a couple of fun giveaways planned for December as my Thank you to you! And speaking of giveaways, my Firmo Giveaway for a free pair of glasses ends at 11.59 PM tomorrow on Thanksgiving. You can still enter it, here. Thank you to you all - I cannot say it enough! On a personal note and most importantly I am thankful for a lot more things but I broke them down for you, just below. T - Tirana, the capital of Albania, the city I met my husband at and fell in love with; the city where Vivian was born; the city I called home for 4 years. H - Home, because home is where the heart is. Whether I am in Europe or America, despite what continent or corner of the world I am at, as long as the people who mean the most to me, as long as Vivian is with me, I am happy. A - Angels, all of my deceased grandparents who are the beautiful angels who look down on me, protect me and smile at me. N - November, the month of giving thanks; my favorite month for Fall; the month we remind ourselves that having a rich turkey dinner to eat and a roof over our heads is a lot more than what so many others have. K - Korca, my birth-town; that little city in Albania where I spent the first 16-17 years of my life at and I will always look back with the fondest of memories. S - Stefani, my mother; the beautiful, gracious, big-hearted, kind, soft, fantastic, amazing woman who birthed me, raised me, cared for me, loved me and educated me and for that I am so blessed and lucky because she is one fantastic woman and the best grandma to my daughter. G - God; without God nothing is possible and to Him I am thankful for everything I have and all that I am. I - Ilir, my brother; I am so proud to call him my brother. He is selfless, generous, kind, loving, funny, hard-working, and the most wonderful uncle to Vivian (you should see him with my daughter; her face lights up when she sees her uncle Ilir). V - Vivian, my daughter. This doesn't need much explanation at all but I am a better person because of Vivian. She is my light, my love, my heart, my world, my everything. I am so blessed and happy that she is my beautiful daughter. I - Immersed; I am thankful for all the beauty of the season that surrounds me and all the giving and generosity from almost everyone that has immersed me. I am feeling the Holiday Spirit. I am feeling the love. I am feeling Thanksgiving and I am feeling Christmas. N - Nineteen; my daughter was born on January 19th of 2013 so ever since number nineteen means so much to me and every month when the 19th rolls over, in my heart I celebrate yet another month of Vivian's life and how much she means to me. G - Gifts and by that I mean my Family because they are my biggest gift, both my immediate and my non-immediate family. These people are my gifts; these people have always been loving, caring and supportive to me since the day I was born. And speaking of gifts they have always showered Vivian with so much love and so many gifts, too. I wanted to wrap it up with this quote below by John Kennedy because it is 100% how I feel, too. What are you thankful for this Fall 2015? What are your plans for tomorrow? What about this Black Friday? I will be back with a couple of Fashion posts this weekend. I wish you all a Good Night and a Very Happy and Healthy Thanksgiving! !